A still from Ashes and Diamonds. In December 2011, legendary director Martin Scorsese was in Poland to accept an honorary doctoral degree from The Polish National Film, Television, and Theatre School, where he met digital restoration expert, Jędrzej Sabliński. In the months following this visit, with the help of Scorsese’s nonprofit organization, The Film Foundation, the two came up with the idea of a North American tour of a series of restored Polish cinema classics. 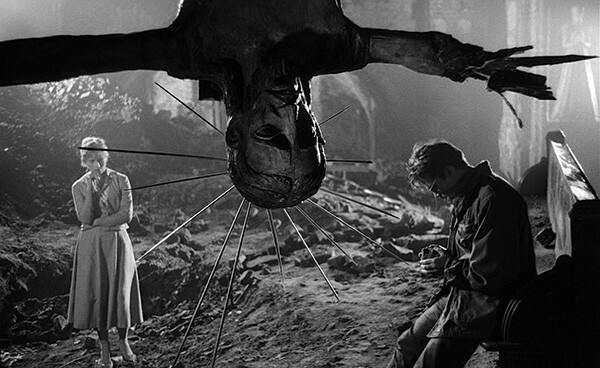 Upstate Films will present many of these Polish masterpieces on Sundays and Wednesdays beginning Sunday, August 10 with the film that put Polish cinema on the map, Andrzej Wajda's 1958 Ashes and Diamonds. The series features films from some of Poland’s most accomplished and lauded filmmakers, spanning the period from 1957–1987. Personally selected by Mr. Scorsese, each film has been digitally re-mastered and brilliantly restored on newly subtitled DCPs. For screening schedule go to upstatefilms.org, or call (866) 345-6688.